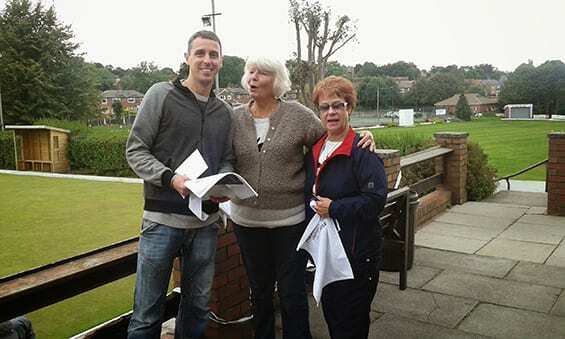 Celebrating our 100th year, Prestwich Bowling Club held its special “by invitation only” August Bank Holiday Mixed Pairs with a feeling it might have to be cancelled due to the terrible weather forecast. However, apart from one hour at the start we managed to complete the competition in relatively good conditions. The green was in excellent shape and held up very well to continuous rain. As this is the 27th year of the competition and our 100 year anniversary, the semi finalist, finalist and winning couple all received a commemorative pin badge and bowling towel together with a historic look back at our club and section in a special booklet printed for the occasion. 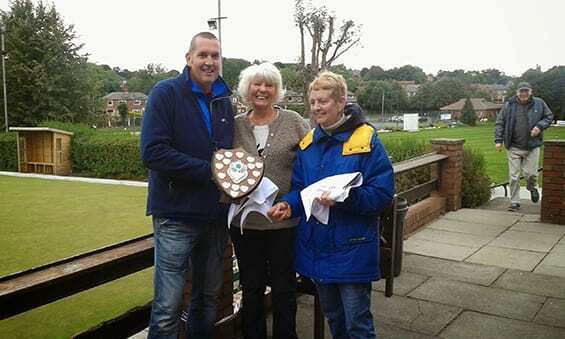 The Runners Up were Denis Freeman and Colin Palmer, and the winners, surprise, surprise were John Thompson and Josie Smith, who by the way have won this competition together 6 times. John Thompson actually won this comp on the very first year of playing it in 1987 with Shelley Wharmby. We were all so much younger then!